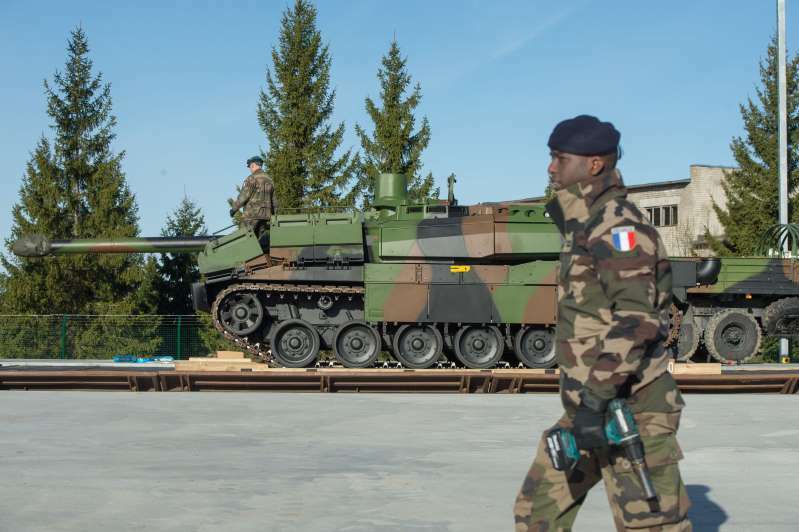 French military tanks and vehicles, part of a NATO mission, are unloaded on March 29, 2017 at Tapa military base. NATO allies are pushing back against U.S. criticism that they are not spending enough on defense as President Donald Trump ratchets up pressure ahead of a summit next week. [post_ads]In the weeks leading up to NATO’s July 11-12 summit in Brussels, Trump sent letters to the governments of Norway, other European allies and Canada demanding that they boost their defense spending. After Russia annexed Ukraine’s Crimean Peninsula in 2014, NATO allies agreed to stop cutting defense budgets, to start spending more as their economies grew and to move toward a goal of devoting 2 percent of GDP to defense within a decade. In Germany, “we stand by the 2 percent goal we’ve set,” Defense Minister Ursula von der Leyen said Tuesday. “We’re on the path there. And we’re prepared … to take substantial responsibility within the alliance,” she added. Germany is “investing as much as necessary, as appropriate and as is fair toward our common allies or partners in the alliance,” she said. The upcoming NATO summit is the first major meeting since the fractious Group of Seven talks in Canada last month. NATO officials are concerned that trans-Atlantic divisions over trade tariffs, as well as the U.S. pullout from the Paris global climate agreement and the Iran nuclear deal, could undermine alliance unity.